Feline Friends is cats, pure and simple. We are a 501(c)3 charitable organization that does not euthanize or discriminate against any cats based on age, gender, color, race, disability or creed. Feline Friends Inc is a sanctuary where cats stay for the remainder of their lives in a safe, healthy, loving and low-stress environment. 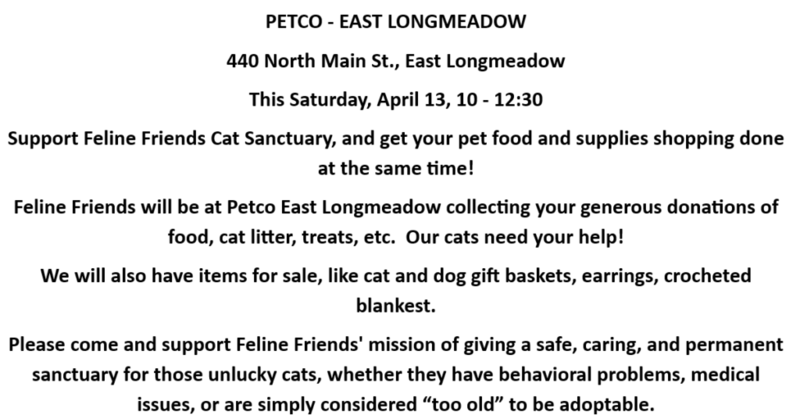 CINCO DE MEOW at Dave’s Agawam on May 4 from 9-1.
and earn a raffle ticket to win our Cinco De Mayo basket. Fluffy is a Friend of Dave’s – are you? Dave’s Soda & Pet City is a great place to shop for all of your pet’s needs, and it’s also a great friend to Feline Friends! We at Feline Friends want to thank Dave’s and owner Dave Ratner for all of their support! 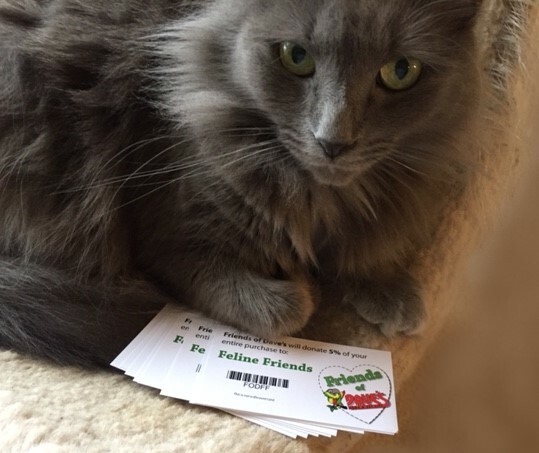 As part of their “Friends of Dave’s” program, Feline Friends gets a special code: FODFF. Just give this code to the cashier every time you shop and 5% of your total will be donated to Feline Friends! Last year Feline Friends received $3,789! Thank you Dave’s!!! You can also get a card of your own at Dave’s in Agawam, the Agawam Public Library, email or call Feline Friends, or download from our website. 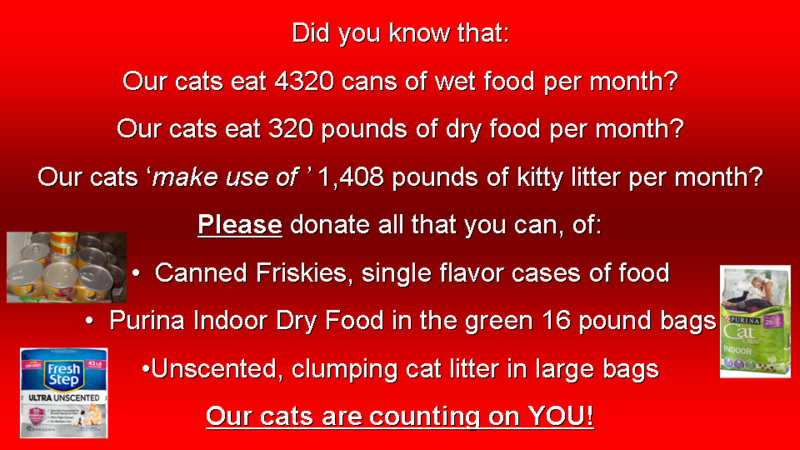 Yet another way Dave’s helps Feline Friends is our monthly food drive. Come to Dave’s Agawam and donate food to feed our wonderful cats! Show your appreciation by bringing the Friend of Dave’s code FODFF down to the Dave’s location nearest you, and buy your animal friends lots of yummy food, treats, supplies, and toys!!! to Feline Friends at the same time?